36 x 72", oil on canvas. Private Collection, Las Vegas, NV. 16 x 48", oil on canvas. Private Collection, Portland, OR. 72 x 10", oil on canvas. 54 x 66", oil on canvas. Private Collection, Salt Lake City, UT. 16 x 20", oil on canvas. Private Collection, Salt Lake City, UT. 72 x 24", oil on canvas. Private Collection, London, England. 16 x 22", oil on canvas. Private Collection, California. 30 x 42", oil on canvas. Private Collection, Gainesville, GA.
48 x 24", oil on canvas. Rumble Motion, Salt Lake City, UT. 24 x 36", oil on canvas. Private Collection, Salt Lake City, UT. 24 x 30" each, oil on canvas. Private Collection, London, England. 30 x 42", oil on canvas. Private Collection, Charlotte, NC. 39 x 39", oil on canvas. Private Collection, London, England. 36 x 48", oil on canvas. Private Collection, Charlotte, NC. 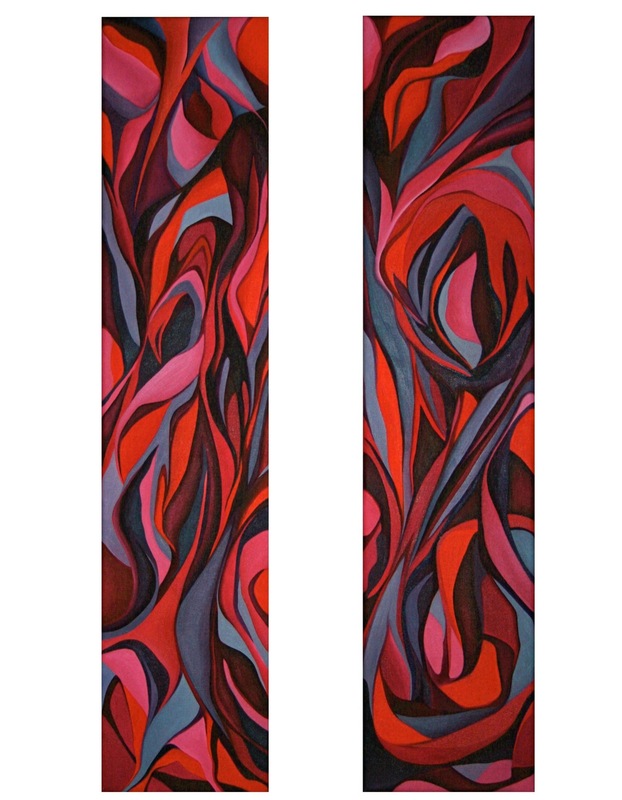 48 x 12", oil on canvas. Private Collection, Chattanooga, TN. 24 x 30", oil on canvas. Private Collection, Salt Lake City, UT. 36 x 8" each, oil on canvas. Private Collection, London, England. 12 x 12", oil on canvas.